How to camp responsibly in New Zealand. Hitting the road in a campervan and parking up alongside a lake, outside an adventure-filled town or surrounded by mountains is the dream for most adventurous travellers in New Zealand. Camping in New Zealand is an amazing way to experience the great outdoors but should only be done by travellers who camp responsibly. 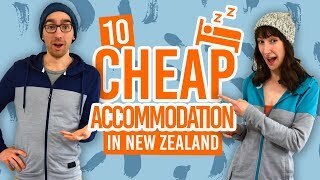 In order to keep New Zealand beautiful, the New Zealand government and local councils have implemented laws on freedom camping in New Zealand. Simply parking up to camp for the night is not as easy as it seems. It requires planning and few freedom camping rules of etiquette that you should know to keep New Zealand looking its darn pretty self (and so you don’t receive any nasty fines). 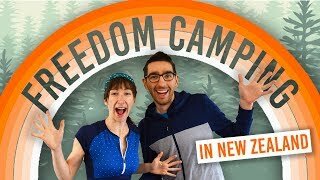 So what exactly is freedom camping? Freedom camping is when you camp on public land that is not a recogised campsite. 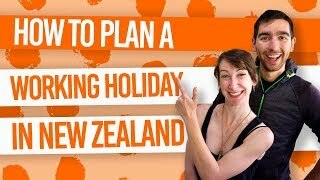 A great resource for planning your freedom camping holiday in New Zealand is the freedomcamping.org. Yes, it’s our first point for a reason! The most important thing you need to know about freedom camping in New Zealand is that you will definitely need a self-contained campervan. Not only that, but your campervan will need to have a self-containment NZS 5465 certification, which is a blue card displayed in your windowscreen, just like the one pictured below. Most of the camping laws around New Zealand only allow you to camp outside of designated campsites if you are camping in a vehicle that is certified self-contained, so if you are serious about freedom camping, then make sure you have the appropriate certification. 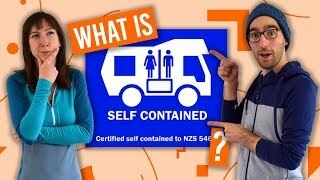 For more information, head over to our guide on Self-Contained Campervans in New Zealand, as well as this handy definition of “self-containment” over at freedomcamping.org. Freedom camping laws are determined by local councils and the Department of Conservation (DOC). In each region, you’ll find slightly different rules for freedom camping, for example, some councils will not allow freedom camping with 1km of the town or you may only be allowed to stay in a car park for one night. For this reason, we recommend a little planning for deciding where to park up for the night, rather than parking up and hoping to not get a fine (more on that later). Take a look at the freedom camping laws on freedomcamping.org for links to all the up-to-date information on freedom camping for each council in New Zealand. Not sure where to camp for the night? Campsites and holiday parks are a great thing to fall back on. On top of that, you’re probably going to want to use campsites and holiday parks a few times on your trip around New Zealand anyway. Campsites that are run by councils and the DOC are very affordable with all the facilities to make your camping experience smoother and the land cleaner! Holiday parks are essential for charging up the power in your campervan, topping up your water tanks and disposing of your waste water. That way, you’re vehicle will be ready to hit the next freedom camping spot! Learn more about the different types of campsites in Camping in New Zealand. It’s the icky part of camping, but hey, it’s all part of the experience! To dispose of your grey waste (sink and shower water) and toilet waste, you must use an appropriate dump station. Dump stations are indicated with a symbol of a camping vehicle with an arrow pointing down. Nearby dump stations will be indicated on road signs throughout the country, so keep an eye out! Alternatively, you can plan your next dump station visit by using camping apps as recommended on the freedomcamping.org website, or simply head to your nearest holiday park. If using your campervan toilet and water everyday, it’s recommended to dispose of it every three days. 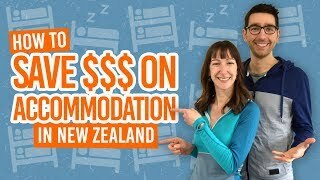 Apart from threatening the natural environment of New Zealand, freedom camping illegally could also incur an instant NZ$200 fine. Council officers and DOC rangers patrol often areas prone to illegal freedom camping, so if caught freedom camping in an area for too long, in an area prohibited for freedom camping, in a vehicle that is not self-contained or breaking any other freedom camping laws then it’s likely that you will receive a fine. For more information on freedom camping penalties, check out our complete freedom camping in New Zealand guide. Not only is rubbish terrible for the environment, but it can really ruin a good photo! Rubbish bins are pretty easy to find in towns, cities and even rest stops along New Zealand’s highways. So if you find yourself in an area without a bin, take the rubbish with you and dispose of it when you find a bin. You should also use the rubbish bin in your campervan, as it’s mandatory to have a bin to meet the self-containment certificate standard. When duty calls, don’t poop in the bush, waterways or on the side of the road! This can contaminate water and soils, leading to diseases such as Giardia. Finding a proper toilet isn’t exactly hard in New Zealand, as you’ll find them in towns, cities, campsites and some rest areas alongside the road. 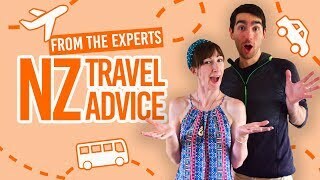 Plus, you’ll have a toilet in your self-contained vehicle, so you might as well use it! The chemicals used for camping toilets are designed to cover any nasty smells, so don’t worry about it – just remember to dump your waste at a dump station regularly. A part of taking care of New Zealand is about taking care of other people (and yourself). Drive safely while travelling in New Zealand by being aware of the New Zealand road rules! You’ll also want to take extra care when driving a camping vehicle, as it’s likely to be very different to any vehicle you have been behind the wheel of before. No doubt you came to New Zealand to experience this beautiful land. A great way to give back to the land and preserve it for future generations is to pledge to the Tiaki Promise – to act as a guardian, protecting and preserving New Zealand. Find out more about the Tiaki Promise here or watch the video below. In summer, i-SITE information centres across New Zealand are giving out ketes (bags) of Camping Knowledge to campers. These contain useful information and can be used as a beach, shopping, rubbish bag or an awesome souvenir. To get your Kete and to learn more about camping the best way, visit an i-SITE Visitor Information Centre or camping.org.nz.